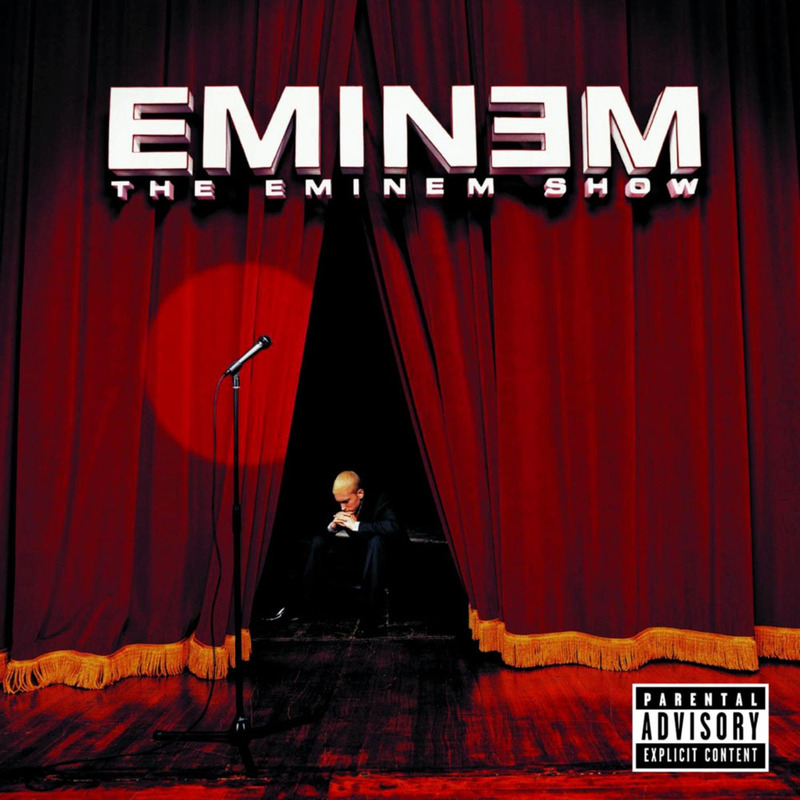 Considered the last of the great Eminem albums, The Eminem Show was the supernova that heralded Eminem musical collapse into the white dwarves of Encore and Relapse. The Eminem that takes centre stage on the album’s cover and in the album itself is unrecognizable from the clumsy, awkward rapper struggling to stay relevant today. On the surface of things, he had all he could possibly want; mainstream exposure from the release of his semi-autobiographical movie 8 Mile, the backing of one of hip-hop’s most respected producers in Dr. Dre, talent in overflowing abundance and most importantly, the ability to talk straight into the ears and hearts of America’s increasingly restless and disillusioned youth. A better recipe for success could not be crafted and it was from such ingredients that The Eminem Show was created. The album itself, like so many others in its tier, owes its longevity and success to two crucial factors – its creator’s phenomenal mainstream appeal and the quality of its music. If one were to look at Eminem’s career as a whole, it would become clear that Slim Shady has always struggled with his voice – not in the sense of his actual vocals, but rather in the sense of his persona. Is he Marshall Mathers? Eminem? Slim Shady? Ken Kaniff? On his early albums it was clear, but on The Eminem Show he switches between the stubbornly offensive Slim Shady persona on tracks like ‘Without Me’ or ‘My Dad’s Gone Crazy’, the rapper Eminem on tracks like ‘Business’ and ‘Sing For The Moment’ and Marshall Mathers on tracks like ‘Cleaning Out My Closet’ and ‘Hallie’s Song’. The end result, far from being jumbled and incomprehensible, ends up giving the album an incredible amount of variety – no matter what kind of Eminem fan you are, there’s something for you in this album. Of special note is the very welcome balance between the satirical humour of ‘Without Me’ with the personal, emotional heft of ‘Cleaning Out My Closet’. It is this very balance that ensures that the album isn’t just a ‘fun’ project, one of those albums that’s good for a single listen and then ends up lost and forgotten in the depth of an iPod. Instead, The Eminem Show offers its audience some serious food for thought and a clear, uncensored view of its troubled creator’s tumultuous core. None of this balance would matter, of course, if the album itself lacked in quality. However, its quality was never in question; with Eminem at the top of his lyrical game, almost every track is graced by his nearly effortless flow. Fans of the man will know that his style has never been particularly poetic – Eminem is not the artist to go to if you like intricately crafted metaphors or gripping narratives but his ability to deliver punchlines and clever verbal volleys is absolutely unparalleled and the album chock-full of quick puns and punchlines carried along by a gripping flow. There is also a good amount of variation in the styles Eminem deploys; whether it’s the slow deliberate anger of ‘White America’ or the lazy, occasionally nonsensical blather of ‘Square Dance’ or the famous, energetic intensity of ‘Sing For The Moment’ it is hard to be disengaged by the album. He even tries his hand at singing on the emotional ‘Hallie’s Song’ – the song comes complete with disclaimer. The Eminem Show also marks its creator’s first major foray into production, assisted by long-time collaborators Jeff Bass and Dr. Dre. To put it simply, the beats are not the focal point of the album. They are functional and occasionally even enjoyable, but there is no mistaking that the star of the show is Eminem and his vocals. There are a few times though that the beat and the lyrics line up perfectly – ‘Sing For The Moment’ would be a great example with its Aerosmith sample and charged lyrics as well as ‘Till I Collapse’ with its heavy drums and fierce energy. The album was produced at the same time as the soundtrack for 8 Mile and it the sibling relationship between the two projects is occasionally apparent on some of the grimier, more underground sounding beats. The biggest flaw with the production, and with the album as a whole, lies with its structure. There are simply too many skits and none of them contribute anything interesting to the album. The album opens and closes with a skit and there are a further 3 skits interspersed throughout the album, filled with crude humours or pointless obscenity. They drag the album down and for no real purpose; indeed their inclusion remains to this day something of a mystery among fans. The album’s biggest selling point might not even be its music. To any long time hiphop fans, it remains a vivid reminder of what Marshall Mathers was once capable of and that, arguably, makes the album as a whole so much more than just a sum of its individual components. Yet, the irony is that it precisely because of albums like The Eminem Show and its predecessors that Eminem is even able to continue making music in an industry that is growing steadily more cutthroat and competitive.